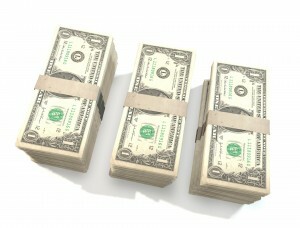 What’s the single biggest side income earner for me right now? Amazon based niche and authority sites. Amazon earnings are more than double Adsense for me. Amazon has a killer affiliate program. The payout isn’t outstanding, but Amazon has one of the most successful conversion ad sales systems on the market right now. Additionally, whenever anyone visits Amazon using your affiliate link, a cookie is written for 24 hours. That cookie causes any other purchases by that person to be credited to your affiliate account. A lot of my sales come from these cookies. In other words, even with the lower commission, you can still earn a great income. Last year, I was earning in excess of $2,500.00 a month from Amazon. Unfortunately late last year, one of my biggest income sites got penalized, but even now across the 5 sites I’m running, I’m earning in excess of $1000.00 each month from Amazon alone, and it’s growing quickly. I plan to surpass that $2,500.00 a month again this year. You can do this too! I’m going to take you through my whole process of finding great Amazon products to build niche sites on, and I’ll also talk you through through the tools I use to get my sites up and running. A question I get asked often: What is the difference in an authority site and a niche site? I would suspect that if you asked 10 different niche site gurus that same questions, you would probably get 10 different answers. To me the difference is in scope and size. A niche site focuses on just a small handful of product types, and often just one. For example, a site that reviews and provides information about say handheld sanders would be a niche site. Both can be very profitable and fun to build, and I generally keep a mix of the two in my portfolio. Personally I think authority sites are more long term, where niche sites are more short term, but this of course varies based on a number of different variables. This is why I maintain both in my portfolio of sites. For this particular article, I’m going to focus on product based niche sites, but these same principles can scale up to authority sites as well. I find product ideas in many ways, but the primary way is by just paying attention. For example, I found my latest niche site idea at a small party our neighbor’s were having. Their grand daughter was playing with a cute little toy, I asked about it, went home and did a little research, and turns out it was a high volume niche with very little competition. Perfect for the upcoming Christmas sales boom. I look for opportunities like this all the time. Pick a category (normally in the top left under “Shop by Department”) that you are interested in building a site out on. Then pick one of the sub-categories. In the left hand column, pick a price that is over $100.00 (optional, but results in higher commissions), and also filter by 4-star and above customer reviews. This will give you a series of top rated and top selling products that go for more than $100.00. Browse through this list to find ideas. You’ll what to have at a bare minimum 25 different products in the “niche” you selected, and 50 is even better. If the niche has less than 25, I wouldn’t even pursue it. Spend some time browsing the various categories and writing down products and product niches. After you have a good list, let’s investigate the search volume for each. Using Google’s Keyword Planner tool, research the product names, categories, and niche. See what the search volume looks like. You want to look for a few keywords in the 3,000 – 10,000 per month, and then lots of other related long tail keywords. The volume on these longer tail keywords doesn’t really matter, just make sure there are 50 or so you can use to write articles around. Store the various keywords and volumes you find in a spreadsheet or on a sheet of paper. Next, for those larger volume keywords (which we’ll use for our primary content), we’ll want to see how competitive the first page is. Goto google.com, and put your larger volume keywords in. Look at the results of the first page(make sure you have search personalization turned off in the upper right). If all 10 positions are big names, like Amazon, Walmart, Best Buy, etc, cross that keyword off. If you see some smaller sites ranking or even other niche sites on the first page, than that is a keyword you want to target. I would recommend doing this process across a number of different ideas. Then once you have a good candidate list of niches sites to build, consider the volumes and most importantly your interest in the topic. Trust me, I’ve made the mistake of picking a niche I’m not interested in … writing for them is miserable. Make sure you enthusiastic about the topic you are choosing! Once you’ve decided on your product niche, it’s time to pick a site name and reserve a domain name. In the past I’ve recommend PMD (Partial Match Domain) names – I don’t recommend those anymore. They can be successful still, but the word is Google is beginning to frown on them. In the interest of long term profits, I would recommend instead picking a brandable domain. Now this doesn’t mean it can’t contain a few keywords, especially if they’re applicable. But what it does mean is that sites like: bestwidgethq.com are not in your best interest long term. Instead consider things like: widgeteer.com, or thewidgetshop.com, or widgetpro.com. I do still recommend doing your very best to get a .com name if possible, as people trust them. But if you can’t, a .net or even a .co will work fine. Most experts agree that Google doesn’t really care anymore and web users generally don’t care either. If you need help coming up with a creative name, I’ve always found Bust A Name to be very helpful. I reserve all of my domain names through NameCheap.com now. I like their easy to use interface, the fact that they include domain privacy for a year for FREE, and they are, as their name implies, cheap. Make sure you do a search for coupon codes too to get an extra discount. Just Google “Namecheap discount code”. I bought a domain name earlier today for around $9.00. 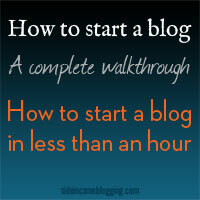 I already have a step by step guide written up on how to set-up a WordPress site is less than an hour. Just follow that process, then return here. Ultimate Azon Theme – I’ll talk more about this below, but this theme is targeted at creating awesome Amazon niche sites. I’m building out a site a using this theme right now, and really really like it. EasyAzon 4 – This is seriously the best money you’ll spend. EasyAzon allows you to search for and insert text, image, info links, and call to action buttons. It even uses your Amazon affiliate links for different countries so you can earn revenue from international traffic as well. I’m a member of a small and focused Mastermind Group. One of the discussion we started was about the various themes everyone used, and wouldn’t it be awesome if you could track product clicks so you know what your visitors are clicking on. Member Dave Nicosia came to the rescue. In just a few months, Dave build out the Ultimate Azon Theme, and many of the mastermind members, including myself were beta testers. Extensive Look and Feel options, including prebuilt color schemes and the ability to build our your own either from scratch or based on the pre-configured schemes. Custom Product post types, that provide custom displays and the ability to add your own custom attributes. This is something I had custom built myself for my sites. Built in Slider an Table support, the theme literally makes creating customer tables and product sliders a breeze. Built in Link Localization, meaning you can increase your income from foreign traffic and clicks. Responsive Design and Mobile Friendly, which is very important now that Google has begun factoring in Mobile friendliness into their search rankings. Click Tracking, which is unique to Dave’s theme. 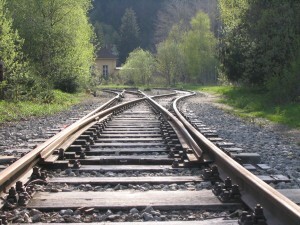 Click Tracking uses Google’s Tag Manager technology to track clicks, and shows the data in the themes click tracking system. No other theme that I am aware of has this technology. Integrates with EasyAzon 3 and EasyAzon 4 – I’ll bet honest, I didn’t quit buy this when I saw Dave’s announcement about this, but it really does work, and it’s easy. Instead of Amazon affiliate links, you just paste in your EasyAzon short code. Now, one important thing to note about this theme. If you are creating a niche site around one type of product, that is offered by multiple manufacturers (or Brands as the theme uses), you really shouldn’t look any further. Ultimate Azon Theme is the best option for you. If you are building out a site that offers multiple types of products, Ultimate Azon will still work for you, but you won’t get all the benefits of having the custom product attributes and a few other things won’t work as well. Still good, but you’ll loose a little of the benefit. If you are building out an authority site, I would recommend looking at something like Genesis and the many different child themes they have (Metro Pro is my personal favorite). Use EasyAzon (discussed below) for your Amazon integration. Dave also put together a great demo site for Ultimate Azon as well, so you can really see it in action. Just visit the main landing page, then scroll to the bottom and click on Demo. I personally wouldn’t build any type of site that will promote Amazon products without using EasyAzon 4. I have it running on all of my sites, with the exception of this one (I don’t promote Amazon products here). Allows you to search Amazon for products, and insert links, images, info blocks, and CTA buttons all from within the WordPress editor. Utilizes Link Localization to increase profits and conversations from foreign visitors. For example, if you list a product from Amazon.com (US), but someone from France finds your site, EasyAzon will send them to the European Amazon site and product instead. Provides product pop-ups (which I personally don’t use). This shows a small pop-up with Amazon product information when visitors hover over your links. Add to Cart support – Amazon allows affiliate links to add a product directly to a visitors shopping cart. When this happens not only does their % chance to convert go up, but Amazon also writes out a 30 day cookie, instead of a 24-hour cookie. You’ll want to use this feature in moderation, as it can irritate visitors that click on your links. A new feature in EasyAzon 4 is the nofollow options. Links can now be follow or nofollowed (I always recommend nofollow for affiliate links). With your website up and running, now it’s time to create content for your niche site. You’ll want a good mix of reviews verses information articles. Let’s say you’re doing a site on cordless hand sanders, you’ll of course want review articles for various different models and manufactures (this will come from the Amazon research you did above). In addition to reviews, you’ll also want tips articles, buying guides, list posts and other content to round out your reviews. Google frowns on sites that just do reviews. You’ll want reviews to be less than 50% of your content, preferably closer to 30%. Your reviews should also be very comprehensive. Sites that provide reviews that aren’t comprehensive have been getting hit recently with “thin content penalties” from Google. Be a minimum 1000 words, and 2000-3000 is preferred. The “above the fold” section of your review should highlight the product features, offer pros and cons, show a good picture of the product, and a summary of your review, with a “Get more information” link. This should be at the very top of your review. The overall review should contain lots of photos, and make sure most of the photo are affiliate links to Amazon. I would also suggest doing lots of “Top 5 Widgets” and “The best 3 widgets for whatever” articles. You can link out to your detailed reviews from these posts, and these are always big hits with visitors to your site and on social media. I don’t recommend including more than 5 products in these types of posts, and no less than 3. You want to give the visitor a limited number of options to choose from. 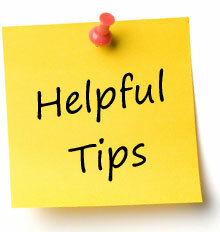 The rest of your content can be more “blog like”, providing helpful tips, products news, informational articles, etc. You can then link to your “Top” posts and your detailed reviews from these as well. Twitter and Facebook can drive tons of traffic to your Amazon based niche sites and that traffic often results in conversions. For sites where it makes sense, I build out Facebook and Twitter accounts, and run Facebook “like ads” to gain inexpensive likes to my pages. I then share my content along with various images on these pages using an incredibly inexpensive tool called FPTraffic. The end result after a few months is a really nice mix of both organic search engine traffic and social media traffic. Don’t always believe every income report you see. Not all online marketers are as honest as others, and some inflate their numbers. Sad, but true. If a niche site you build isn’t earning income that exceeds the amount of time and money you are putting into it, within 12 months, consider cutting it. Focus on the sites that earn, and drop the sites that don’t. Google likes well researched, informative content that benefits Google searchers. This means that if you are just scrapping the same content that is on Amazon into your reviews, it won’t work. It may work for a while, but it will be only a matter of time before your site gets penalized and de-ranked. Provide value over and above what Amazon provides. Track your earnings for each site and pay attention to the details. Look at your numbers, pay attention to what products are getting clicked and bought, and which are not. Use this information to create reviews for new products that will convert. This is where the Ultimate Azon Theme really shines. Make your site look professional – The days of quickly thrown together sites are nearly over. Google wants to send people to professional looking sites. So make sure you have a custom logo, nice colors, good graphics, photos, and a clean layout. BE MOBILE FRIENDLY – I just can’t stress this enough. For the majority of my niche and authority sites, over 80% of my traffic is now mobile, including most of the purchases. If your site isn’t responsive and mobile friendly, you’re leaving large sums of money on the table. Ultimate Azon Theme is responsive and mobile friendly. Not sure if your site is mobile friendly? Use this tool from Google. Good luck! If you have any questions, don’t hesitate to contact me. How building effective call to action with niche sites can make you rich!